As the times are changing I have come round to thinking that I should keep up with modern trends and update friends and my owners in an interesting and visual way (with some help from Wendy and Harriet of course!). I hope that we will be able to give you a good insight into the current goings on at Kings Ride. 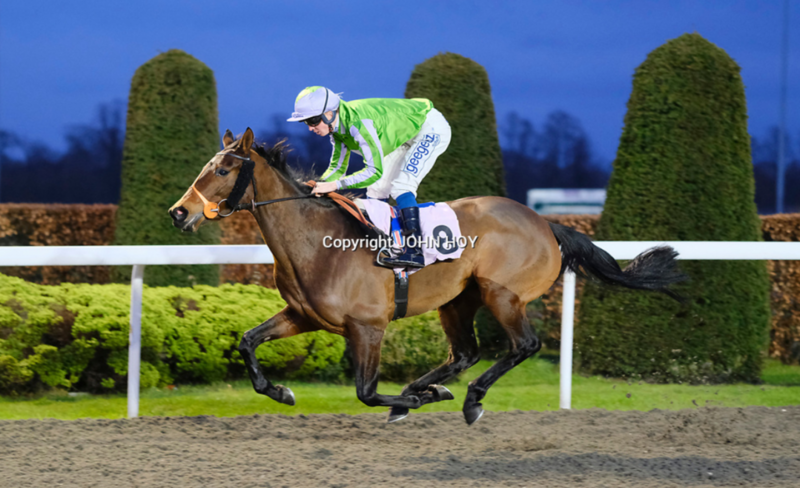 Chloellie continues her excellent run of form by winning for the fourth time in five runs tonight at Kempton Park. 09/01/2019 – We have had our first winner of 2019! 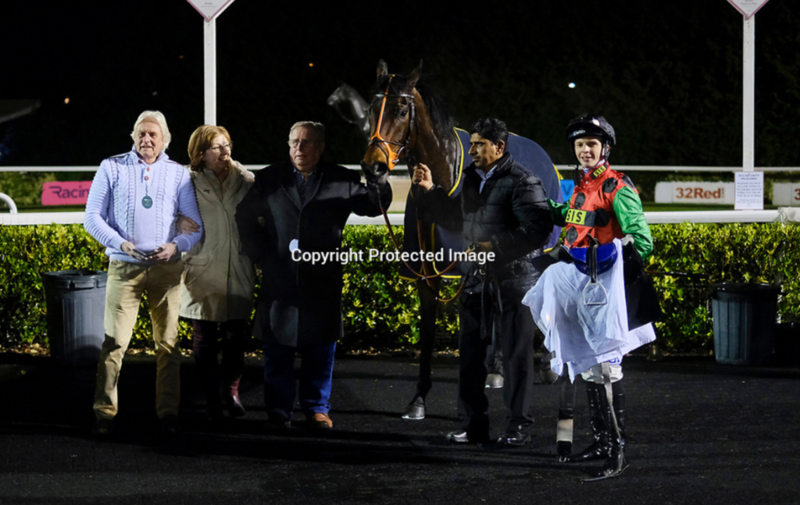 The lovely Cool Echo wins the Talksport Handicap at Kempton under David Probert who gave her a brilliant ride. Congratulations to her owner and breeder Mr Turner and to all connections. 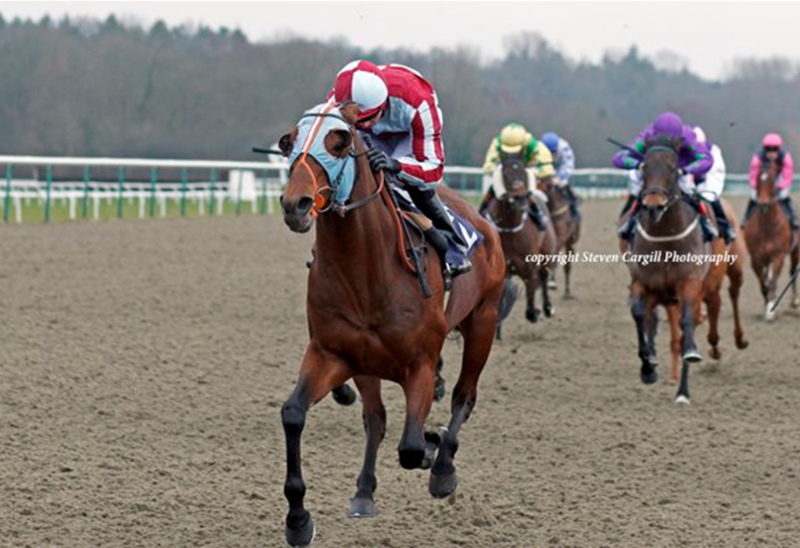 Zahirah pushes ahead inside final furlong to win the 32Red.com Handicap at Kempton under David Probert. Congratulations to all connections. Chloellie records her 5th win in 2018! 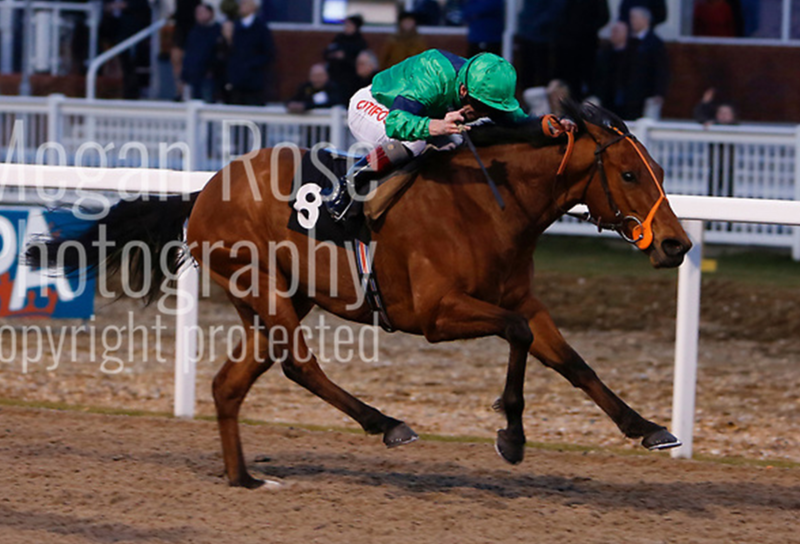 She ran really well to win the 100% Profit Boost At 32Redsport.com Handicap at Kempton under David Probert. Congratulations to the Bullard family. 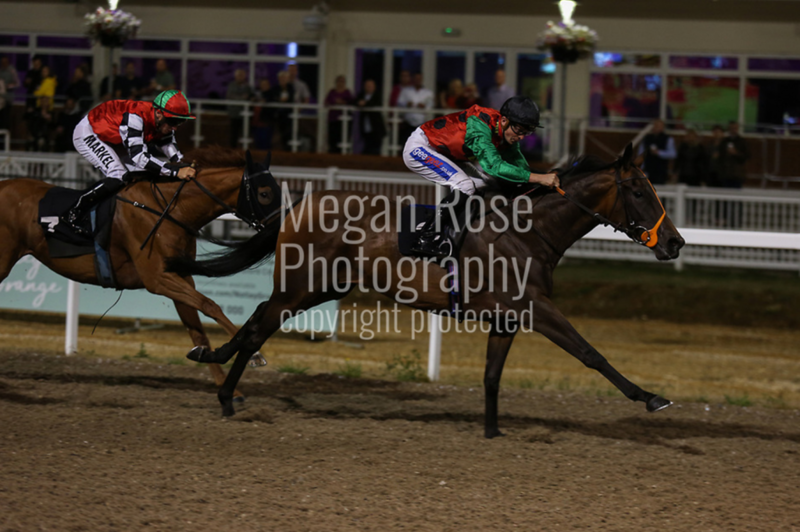 Zahirah (pictured nearside) is despreately unlucky to finish second by just a nose in the 9.15pm at Wolverhampton tonight. Thank you to the traveling staff for the support they give the horses on late nights racing. 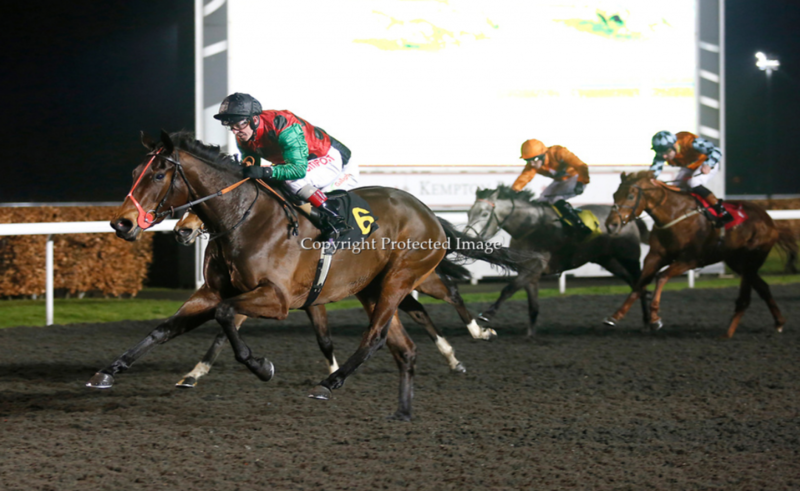 Carvelas makes it two in a row by winning the Bet toteswinger At totesport.com Handicap at Chelmsford City this evening for David Probert and the Crofters Racing Syndicate. Well done to connections! 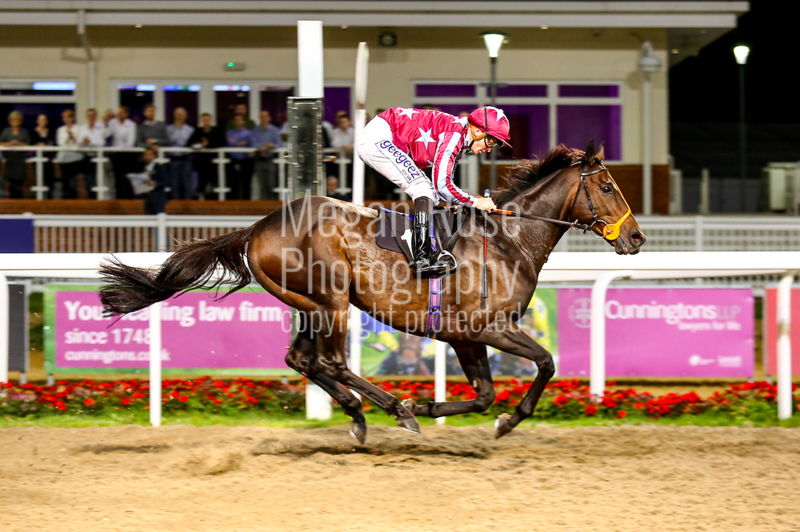 Carvelas wins the Bet totescoop6 At totesport.com Handicap (Div II) at Chelmsford City this evening for David Probert and the Crofters Racing Syndicate. Well done to connections. 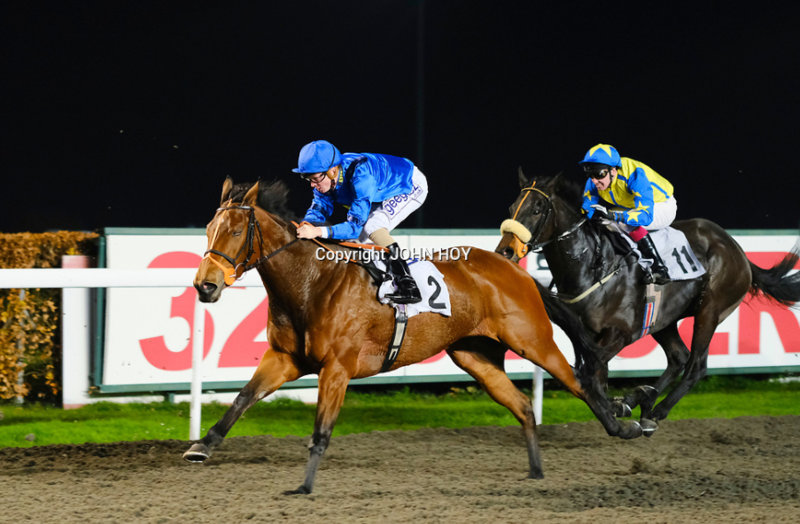 Chloellie makes it two in a row by winning the Bet At racinguk.com Handicap at Kempton under David Probert. Congratulations to the Bullard family. It was a busy week at Kings Ride with 5 runners all running creditably. 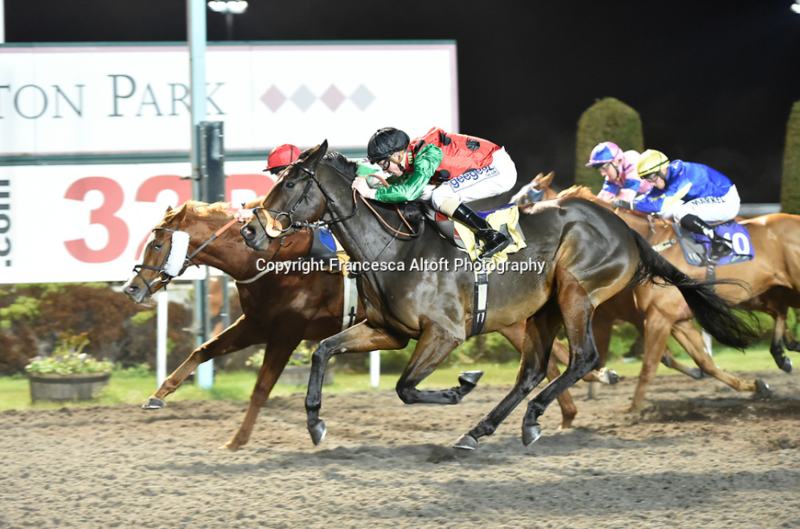 Karam Albaari was narrowly beaten by a progressive type at Lingfield along with placed efforts from Freddy With A Y and Tilsworth Lukey. 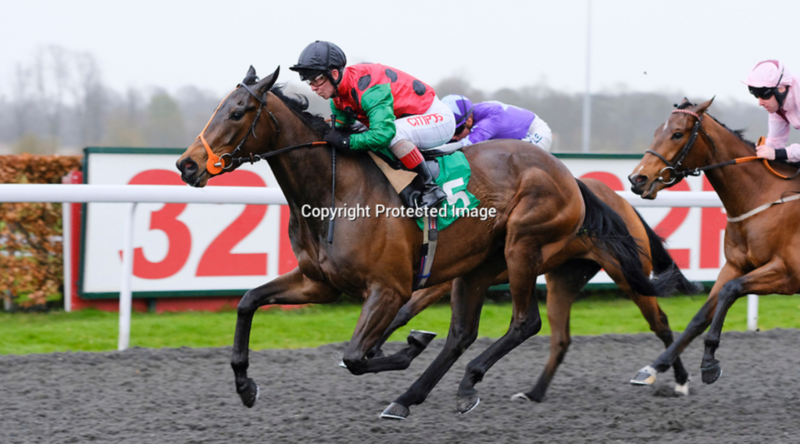 Chloellie followed up on Wednesday with a win over 6f at Kempton Park for the second time this year. She has proved herself to be a progressive filly on the all-weather for her owners The Bullard Family. 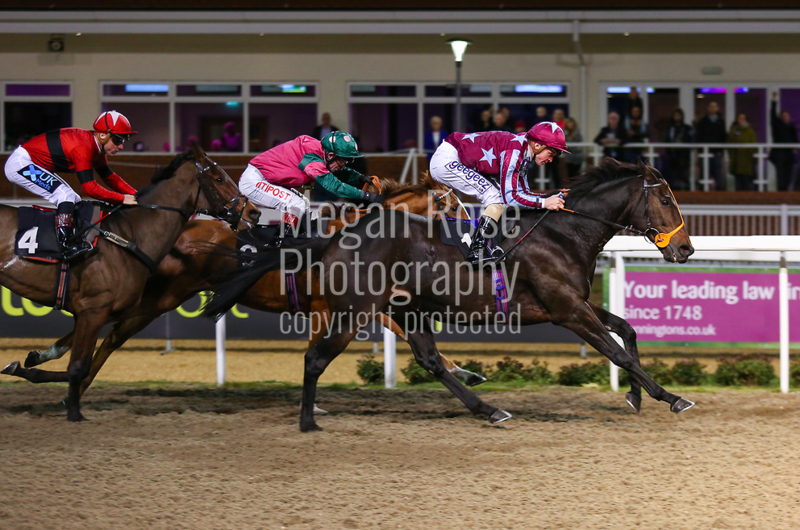 Tilsworth Lukey wins the Bet exacta At totesport.com Handicap at Chelmsford City under Franny Norton for his owners and breeders Michael Ng and Phyllis Hutchins. 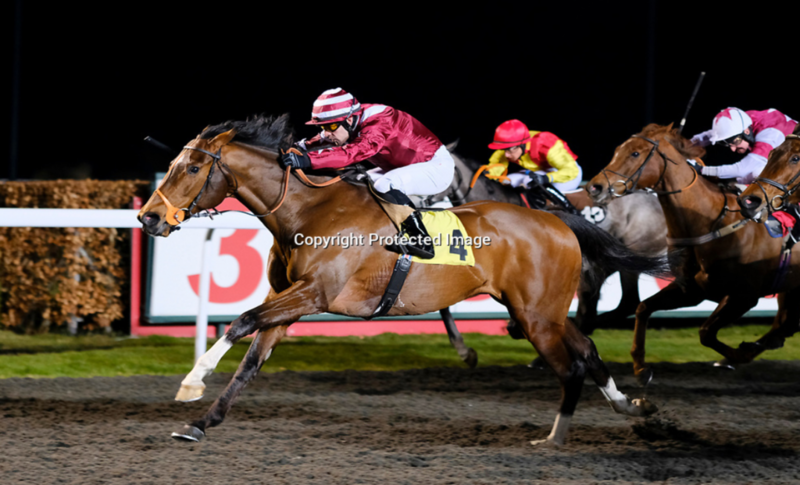 Wally’s Wisdom led inside the final furlong and kept on to win the 32Red Handicap at Kempton tonight for owner Mr Royston Cooper. The Beast from the East has hit Kings Ride at full force! 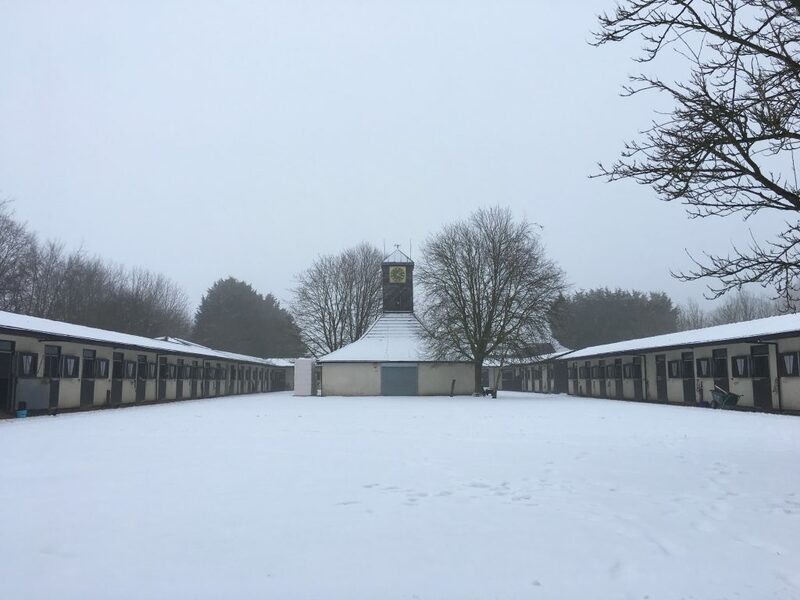 A big well done to the staff for continuing to exercise and care for the horses in these arctic conditions. We have various horses entered for the week ahead, with any luck the racing fixtures will be back to normal with the forecast looking a little better in the days ahead. 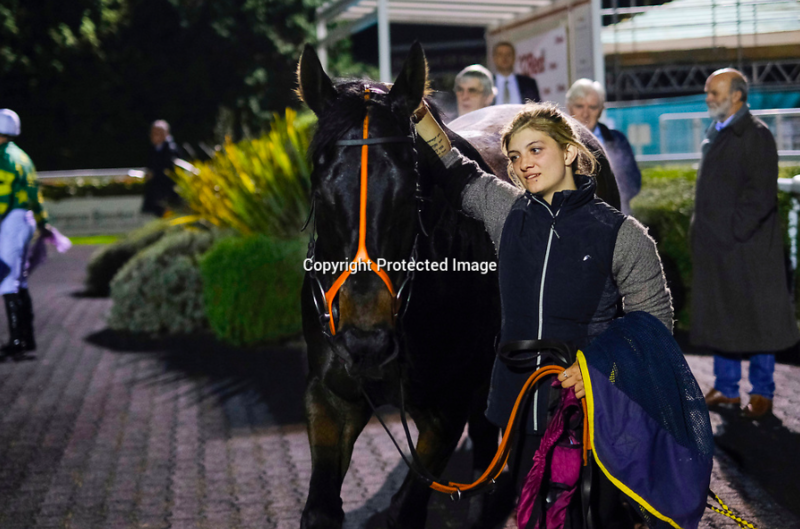 Chloellie’s win last week had significant importance for us at Kings Ride as she has now followed in the footsteps of her 3rd generation predecessors by winning under Mr. Jenkins’ traineeship. Chloellie has a lot of sentimental value here also, as she is a home bred by Mrs. Jenkins. 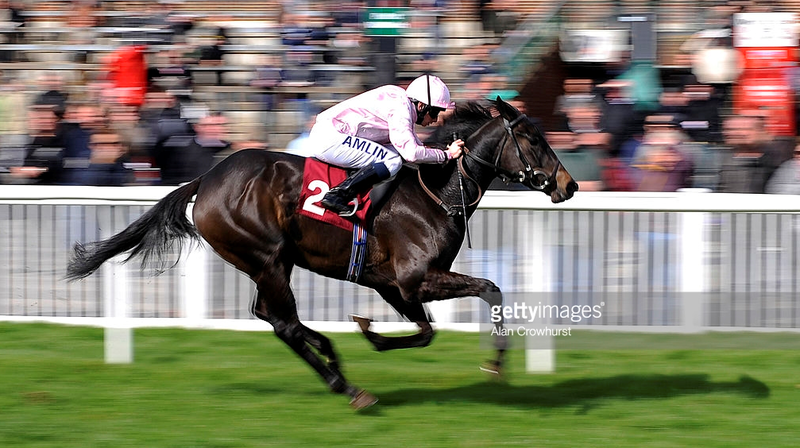 Mr. Jenkins trained Chloellie’s Dam, Caramelita who won 7 races and placed 22 times earning £26,260. Chloellie’s granddam, Apple Of My Eye was also, trained by Mr Jenkins and in this time won 1 race and placed once. 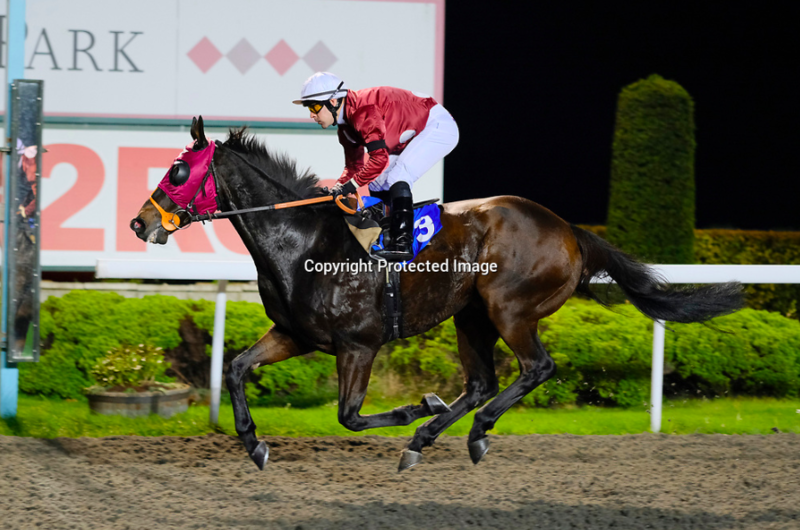 The success of the Jenkins trained family doesn’t stop there however; with the likes of Spitfire, closely related to Chloellie winning 8 races including 3 stakes races and £73,313 and placing 27 times. Spitfire’s dam, Fruit Of Glory, again trained by Mr. Jenkins won 9 races and £162,242 including the Slatch Farm Stud Flying Fillies’ Stakes. She also, placed 27 times including 2nd in 2 Stakes races. Even more successful progeny follows in this family with Oscars Journey winning 6 races and placing 16 times, Great Expectations winning 4 races placing 23 times, Mr Cellophane winning 2 races and placing 35 times, Pick Of The Crop winning 1 race and placing 3 times and finally, Papageno placing multiple times. All the aforementioned horses were again, trained by Mr. Jenkins. 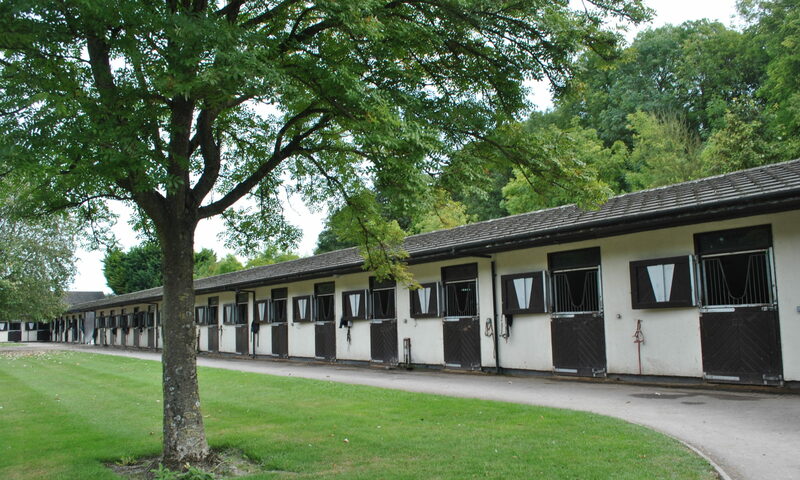 12 members of this hugely successful family spent their careers here at Kings Ride, a feat not many yards can proudly boast and we hope to continue this legacy for generations to come. Chloellie ran on strongly to win on her handicap debut. Owned by the Bullard Family who were there to cheer her on. 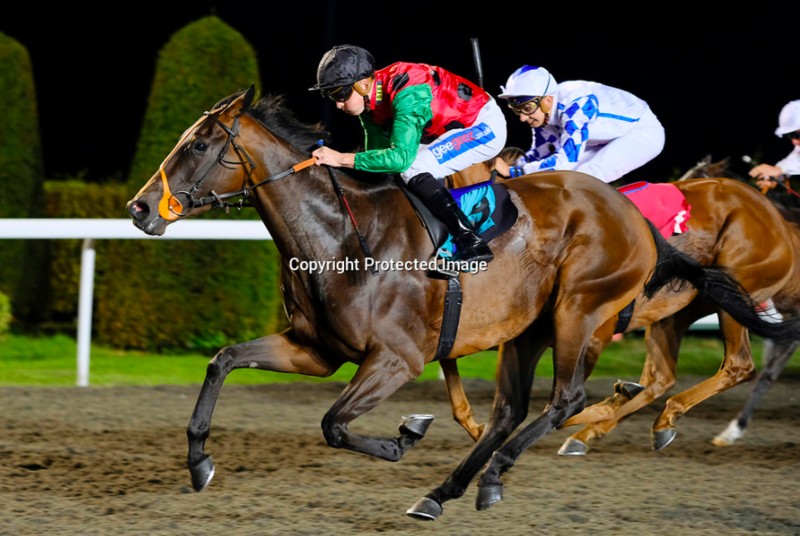 Karam Albaari won impressively tonight at Lingfield under Martin Harley. From being held up in the early stages of the race the colt eased clear of the 13 runner field and won by two lengths. To everyone who follows the Kings Ride team I wish you all a very Happy Christmas. I would like to thank our owners for their support this year as well as the staff who give up their time to care for the horses over the festive season. I wish you a happy new year and a lucky 2018 on the racecourse! 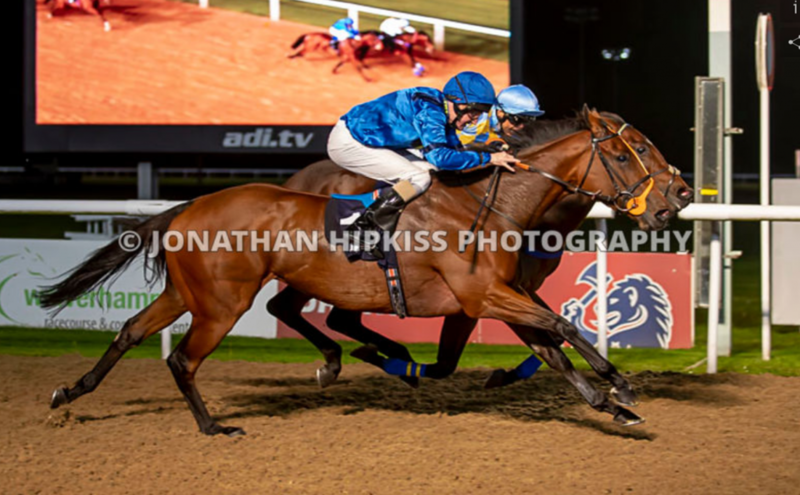 ‘Freddy With A Y’ was an easy winner of the talkSPORT Handicap at Kempton tonight. He was prominent in the chasing group and showed a good turn of foot to close quickly on the leader, he soon drew clear and won comfortably by 2 lengths. He has been a hardworking and consistent horse since joining us at the end of last year, running on a regular basis and never being too far away. I am pleased he has deservedly managed to get his head in front. 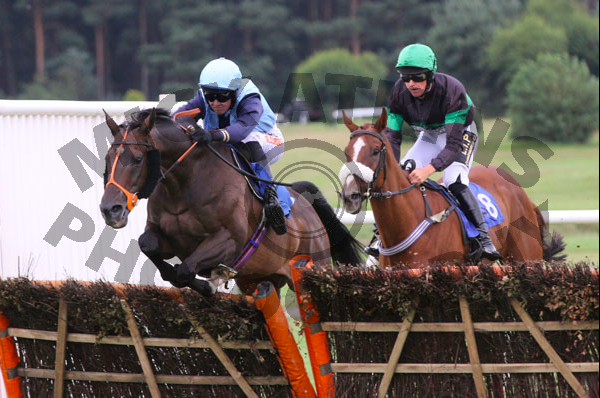 I am delighted that Tirada managed to get his head in front to win over hurdles this afternoon at Market Rasen. He has given consistent good runs in every race this year, winning in March and being placed twice prior to this win. He isn’t an overly big horse, but always tries his utmost and is a joy to train. After a busy campaign over the winter, a couple of the National Hunt horses have been having some well deserved time out in the paddocks. Dalkadam, who was a winner over hurdles last season, will slowly come back into training after having a 3 month summer break. His holiday will have done him the world of good and I am looking forward to seeing what the winter brings for him and his owner Mrs Hadida… As you can see, he seems to be enjoying having his home comforts back! It is great to have a such a variety of horses in the yard. From jumpers to sprinters, 2 year olds to 12 year olds it is very helpful for me to judge where a horse is at and what he or she is best suited to by having a good mixture of horses to work with them. We had runners both on the flat and over jumps this week, of which I was particularly pleased with Tirada; he finished 3rd out of 13 runners at Market Rasen and whilst the winner was a long way clear, he was very unlucky to loose second by a neck in the final strides – not to the discredit of jockey Carey Williamson who won on him earlier in the year and gave him a good ride. Raise a Little Joy has come out of her debut in good form and on reflection will need further than 5f next time out. She worked this morning with Magic Buddy who is an unraced 2 year old who seems to have a nice attitude on the gallops despite being a buzzy personality the rest of the time! 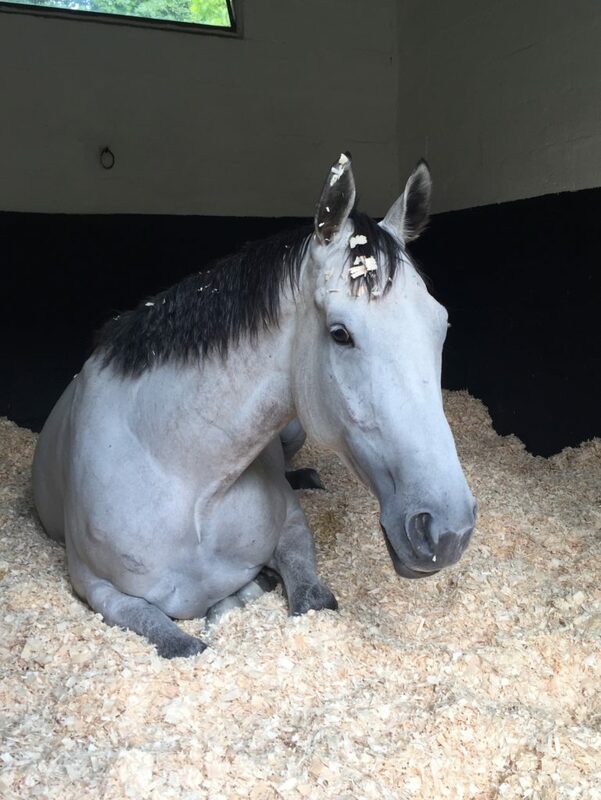 We have given her plenty of practice in the stalls in the indoor ride and at some point next week we will repeat the exercise outside with another horse – if all goes well she will not be too far away from a run. 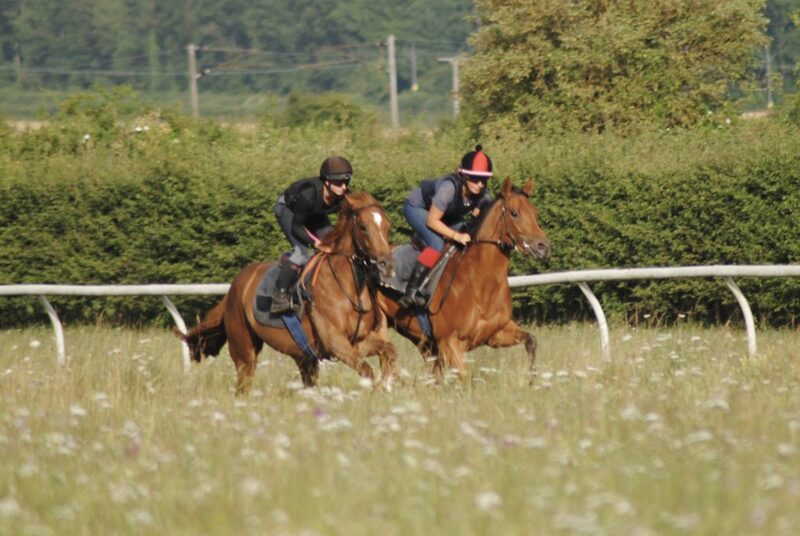 On Monday we have an exciting two year old making her racecourse debut. ‘Raise a Little Joy’ (all being well) will head to Windsor to start her racing career in the 6:00 race. She is a special filly for us and her owner Robin Stevens as she is out of his much-loved 8 time winning mare Ray of Joy. She will be ridden by Tom Queally who won on her mother in 2012. Fingers crossed she runs a nice race to give her a good education to go on to try and emulate her mother. Willow Tiger Lilly will also go to Windsor for the 8:30 race, she has showed potential in defeat in her first two starts and seems to be getting the hang of things on the gallops at home now with handicaps the probable plan longer term. Spitfire, a horse who has been a favourite over the years for myself and many of the stable staff at Kings Ride has been retired to a family home. We were sad to see him go, but after a great career on the racecourse earning over £73,000, winning 8 races, finishing second on 11 occasions and third 10 times I think his retirement is very well deserved! He will enjoy a quieter time of things as a riding horse – I wish his new owners all the best with him. Enjoy the news from Kings Ride? Feel free to share this page!